Woven fabric only stretches diagonally on the bias directions (between the warp and weft directions), unless the threads used are elastic. Woven fabric cloth usually frays at the edges, unless techniques are used to counter it, such as the use of pinking shears or hemming. Our firm is ranked amongst the reputed names in the market for offering a wide series of PP Woven Fabric Material. 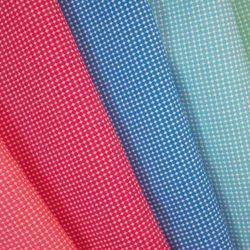 We are engaged in manufacturing and exporting quality polypropylene fabric for our clients spread worldwide. These polypropylene fabrics are UV stabilized and is available in woven polypropylene from 100 gsm to 250 gsm. Coated (Laminated) or uncoated (Unlaminated). Unico Print Pack India Pvt. Ltd.
SDF (Surface Densified Filtration) is the most significant development in woven filter fabric since the invention of the loom. PANEX 35 Tow Weave Carbon Fabrics are produced from our PANEX 35 50K Continuous Tow Carbon Fiber. Quick composite part build-up is cost effectively achieved with our cosmetically attractive carbon fiber fabrics. Applications include large composite tooling parts and aesthetically appealing finished composite components. 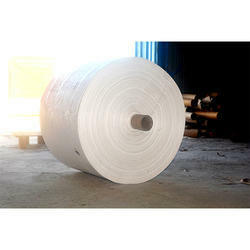 PPPL can offer Polypropylene Woven Fabric from 80 gsm to 250 gsm. These fabrics can be in circular form or panel type and coated or uncoated.